It's Friday and I need to fangirl for a minute. Spring seems like a most crucial time to have a new album to just wear into the ground. (Strategic release date for Justin Timberlake, right?) I am horrible at listening to songs all the way through. I drive most of my friends crazy (and now Bryan) because of this. If it's a song that I am obsessed with, I will listen to it almost exclusively over and over and over. Please just ask my dad about when I was in fifth grade and I listened to Spiderwebs by No Doubt about eight million times in one weekend. Or, ask my cat Walter, who is clearly spewing curse words in his mind in this photo because I am playing "THAT SONG AGAIN, FRAN? REALLY?" More recently in past years, I annihilated Florence+the Machine's first album, and a lot of Marina & the Diamonds. I can't choose a favorite song from Lungs. It's NOT POSSIBLE. Eventually, the trailer for Eat Pray Love (UGH, EAT PRAY LOVE. NO.) came out and everyone wigged out over Dog Days are Over. And I was like, "YES, but do you feel it in your bones and does it make you want to throw yourself from a tree or moving car?" For some reason that was my test for if a person truly loved Florence Welsh. I am OBVIOUSLY dramatic when it comes to the music I love. That's the funny thing about music. Sometimes you need everyone to know about it so you're not alone in your sentiments, but at the same time -- it seems necessary to be fiercely protective of it. I first heard Jessie Ware doing this this Bobby Caldwell cover (PLAY IT!) and it hit me slowly. It was just enough of a Sade vibe that I came back for more, and then before I knew it I am pretty sure it's in my top 25 most played along with Beyonce's Irreplaceable and probably an Ingrid Michaelson song from a poignant scene in Grey's Anatomy. To be noted: JESSIE WARE AND JESSIE J ARE DIFFERENT PEOPLE. Even though they weirdly look very similar, and are both foxy and soulful British women. Thankfully, I got my sister obsessed with her so now we can text each other in all caps about our infatuation. I've included two of my favorite songs of hers right now. Last night I made Bryan dance with me to Running in our kitchen. He humors me and I am thankful for that. ENJOY JESSIE WARE. LOVE HER. LET'S GO TO HER CONCERT. What other new music should I know about? 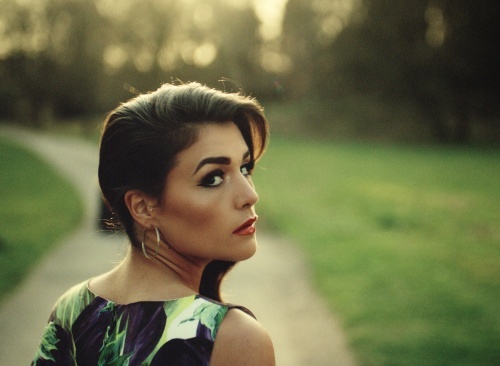 Do you already love Jessie Ware? TELL ME ABOUT IT! A friend just told me to listen to "Falling" by HAIM and I have not stopped playing it over and over and over and over and... well you get it. Adding Jessie Ware to my Work Jamz playlist now. I am sure you have heard of these from Florence + the Machine's Ceremonials, but I love Shake It Out and Lover to Lover. And I wish Beyonce's Love on Top came out before my wedding day because I would have incorporated it somehow! I can't stop listening to Kelly Clarkson's Catching My Breath and it was the same way when I heard Dark Side for the first time. I know that if I keep listening to them I will be sick of them BUT I CAN'T HELP IT! Also you introduced me to Earth, Wind, and Fire's September and I am obsessed with it. The first song reminded me of Whitney Houston, God rest her soul. I definitely get song obsessive, I was that way with "Speeding Cars" by Imogen Heap. I didn't feel like anyone understood how that song left me feeling entirely empty and filled at the same time. this is hilarious because i feel like you are describing me too. like the most dramatic and invested music fan ever. YES BUT DOES IT MAKE YOU WANT TO JUMP FROM A TREE. i used to listen to shake it out so loud driving around in the car with the sunroof open and it was like ALL IS RIGHT WITH THE WORLD AND NO ONE LOVES THIS SONG MORE THAN I.
do you listen to paul simon? obvious child is pretty friggin' amazing by him, real loud. listen and TELL ME WHAT YOU THINK. I am the queen of listening to things on repeat and watching movies over and over and reading books again and again. If it's so good, why stray?? Ben does not understand. I will have to look into these wonderful women. I love the songs you posted and I love Bryan for dancing in the kitchen with you. Those times are my favorite kind of times. Didn't you write about that Bruno Mars song recently? Because I wore that one out, much to my chagrin. I was embarrassed to admit liking it, but now I have no shame! I totally did. I too have worn it out, but I still car dance every time it comes on to the radio. You have probably heard of her - but the obsession you talk about is exactly how I feel about Birdy, another soulful Brit. She's young and her voice is soft but incredible. Check out her cd (titled "Birdy") - specifically, "People Help The People", "Terrible Love" and "Skinny Love" - those were my first favorites! I just found your blog through E-Tells Tales & I'm so glad I did! Landed on your blog via another blog. Loving It. 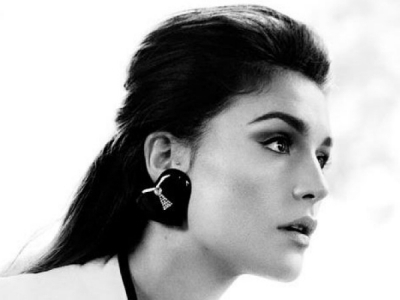 On another note, Jessie Ware is a-maz-ing, awesome sauce.